Dachshund Dogs: 10 Things You Didn't Know! Dachshund dogs are short-legged and long-bodied. They are classified as a hound-type dog and have earned the nicknames “wiener dog” or “sausage dog” due to their unusually long and narrow build. The dachshund breed of dogs were raised to chase, smell, and flush out burrow-dwelling animals such as badgers, while smaller dachshunds were bred to hunt similar but smaller prey such as rabbits. Today, the breed is one of the most popular ones among pet owners according to the AKC. But despite their popularity, there are a lot of things about dachshunds that many people still don’t know. Even if you own a dachsie, chances are that you don’t know all (or at least some) of these facts. Read on for ten things that you probably don’t know about dachshunds. The dachshund breed of dogs comes in fifteen colors and six marking combinations. Red and black and tan are the common colors, but they also come in black and cream, blue and tan, blue and cream, chocolate and tan, chocolate and cream, fawn and cream, cream, fawn and tan, wild board, wheaten, black, chocolate and fawn. But the variety doesn’t stop there. Dachsies also have a total of six marking combinations including brindle, sable, dapple, piebald, double piebald and brindle piebald. Who could not love these beautiful doggies??? While they are also known as wiener dog or sausage dog, another common name that is used for dachshunds is badger dog. The word dachshund comes from the German language, where the breed originated. Dachs means badger, while hund means dog, so the literal translation of Dachshund to English is “Badger Dog.” Interestingly, Americans shied away from calling them badger dogs in the post-WWII era to disassociate it from its German origins. This may come as a surprise to most pet owners, but the miniature dachshund that you’re familiar with isn’t its only size. That’s crazy, right? Although they don’t come any smaller, a standard size exists, which can be almost triple the miniature dachshund size. The miniature weighs around 11 pounds, while the larger dachshund can weigh as much as 32 pounds. A third size also exists in Germany, which is between the miniature and standard sizes (more on them later). Another interesting fact that most people aren’t aware of is that dachshund dogs come in three different coat types. You mostly find it in the more popular smooth coat of hair, but the long haired dachshund and wire haired dachshund coat types are not uncommon. In fact, in the show ring, all three coats are deemed acceptable. So, which one is your favorite? Waldi was the name of the first ever Olympic mascot, which was modeled on a dachshund and was introduced in the 1972 Munich Olympics. But that’s not the only reason dachshund holds an important place in Olympic history. During these games, the Olympic Marathon route was designed in the shape of the dachshund dog Waldi. Their history doesn’t just lie in the Olympics! Dachsies have also made their place in the Guinness Book of World Records. A dachshund named Chanel that lived in New York held the world record for the oldest dog back in 2009. Sadly, Chanel died at the age of 21, but later on, another dachshund named Otto held the title. With the right care and environment, dachshund dogs can have a long lifespan and may live into their mid to late teens. Remember when we told you that there are three sizes when it comes to dachshunds? The size between the miniature and standard is often referred to as tweenies and is mostly found in Europe. This mid-sized wiener dog type weighs roughly 12 to 18 pounds. In Great Britain, they’re also known as rabbit dachshunds because their unique size makes them perfect for hunting rabbits. The nicknames just don’t end, do they? Dachshund dogs are well known for their fierceness, almost as if they have no understanding of just how small they really are. With their loyalty and bravery, they make for excellent guard dogs. Their aggressiveness can easily cause problems with visitors or strangers if left unchecked, however. To do combat this, it’s important that your dachsie always understands that you are the one in charge. Let them think their boss and their short little legs will walk all over you! But leave them no doubt that you are their “pack leader” and they will be the most loyal companion in the world. 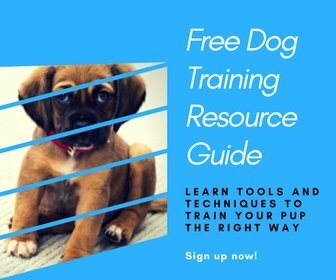 The world-renowned trainer Doggy Dan covers this subject extensively at his site. You can start learning right now by watching his free video series. They love to jump. Why? That’s a bit unclear, but they just love to jump out of your arms or off the couch and while that can be fun and adorable, they often end up hurting themselves. Common health problems for dachshunds include trouble with their hips and discs, so you should always discourage your weenie dog from jumping no matter how much they may try. And be sure to check out our article on how to stop your dog from jumping on people! Last but not least, the wiener dog races that have become so popular throughout the world actually started in Australia all the way back in the 1970s. Watch this wiener dog race below, where the fierce but cute dachsies may or may not have scared off all the horses. Get a handle on your dachshund dog’s big personality by watching Doggy Dan’s free dog training video series! P.S. Make sure to pin this and see what surprises your friends!